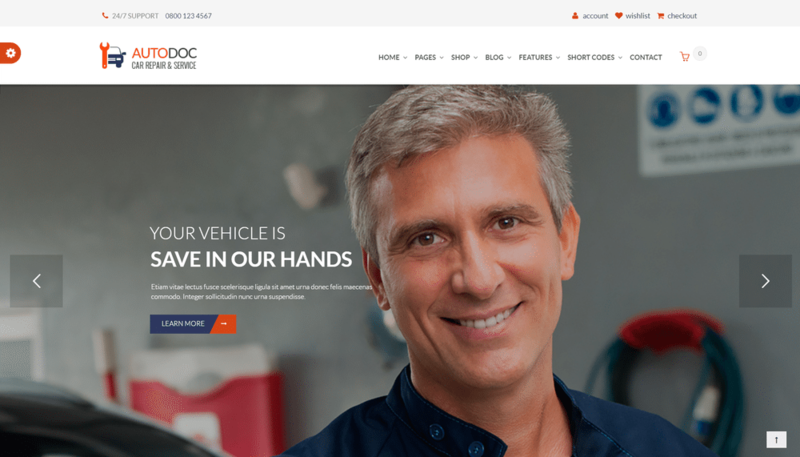 Here at Decolore.net we have gathered a collection of 15+ Best Car Dealer and Auto Repair WordPress Themes. 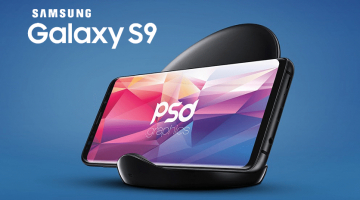 Responsive and fully packed with the latest features. 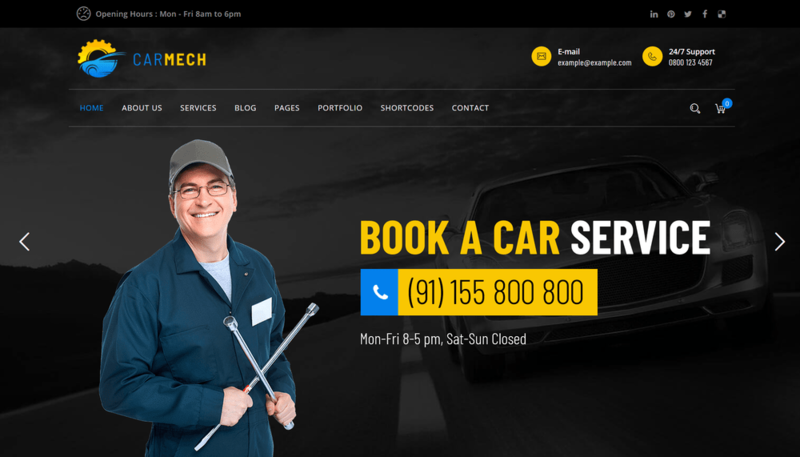 Themes for range of business in automotive world from car dealers, car resellers to mechanic workshop and auto motor retailers. 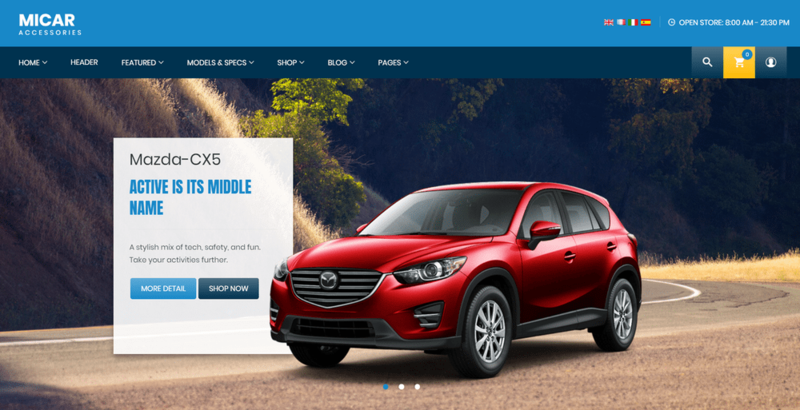 The following collection of themes has been created with criteria designed to find themes most capable of producing professional-looking, successful auto service websites. Have a delightful day! 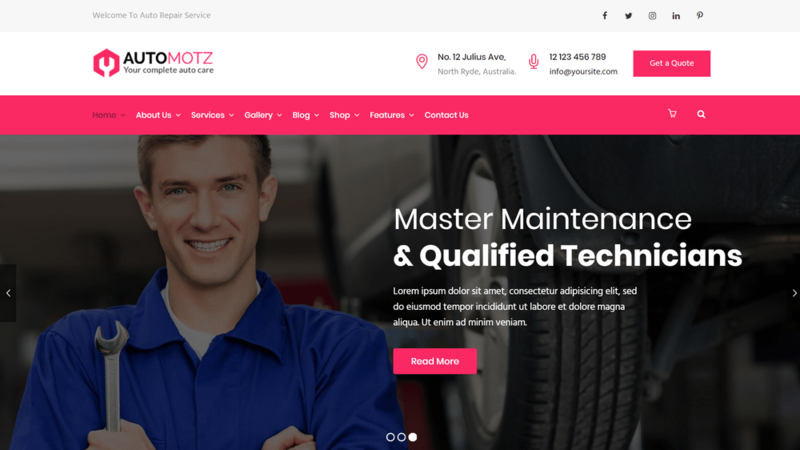 Automotz is easy to use and lightning fast at churning out great looking pages, thanks to the powerful drag & drop Visual Composer and you can easily fine-tune Automotz to look exactly the way you want it to using the admin customization options. Additionally, you can use the available beautiful sliders with the included Revolution Slider plugin and create limitless sidebars. 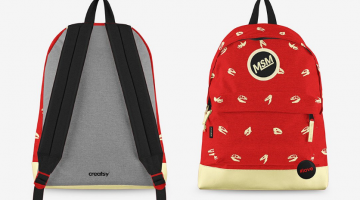 Compatible with WooCommerce, you can easily turn your Automotz website into a full-fledged online store, and open up another stream of revenue by marketing your wares online, to an endless sea of potential clients. 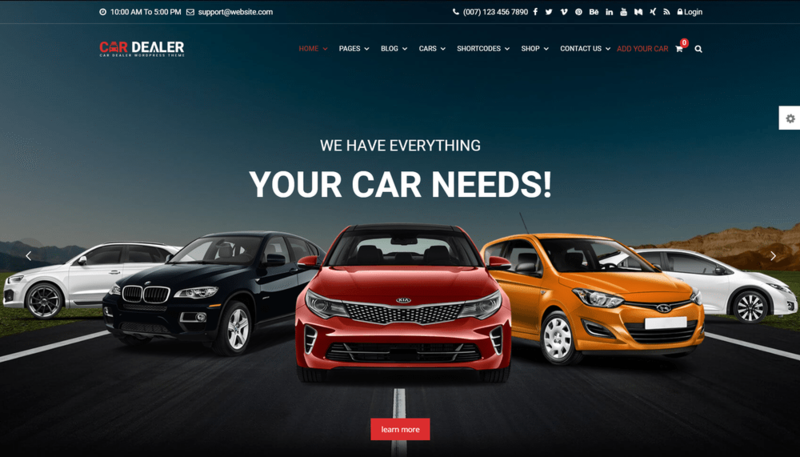 With 10+ years of experience of working with clients from automotive world, we executed the most enticing, flexible and modern multi-purpose Car Dealer theme for range of business in automotive world from car dealers, car resellers to mechanic workshop and auto motor retailers. 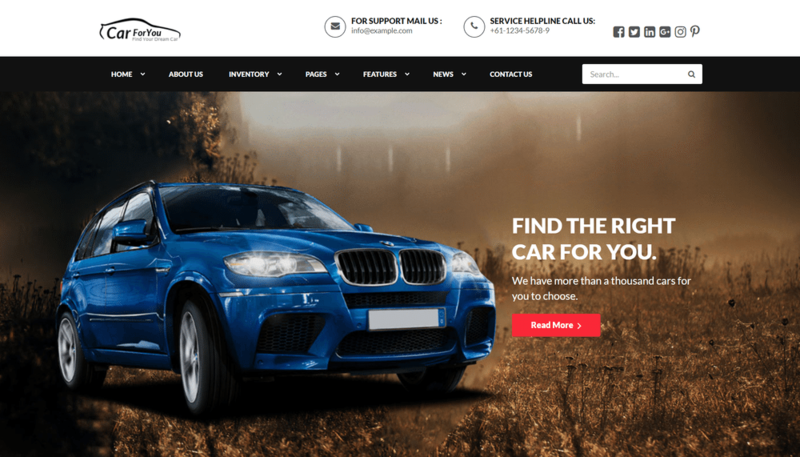 If your company does the car tuning – using this WordPress template for your website is a must! 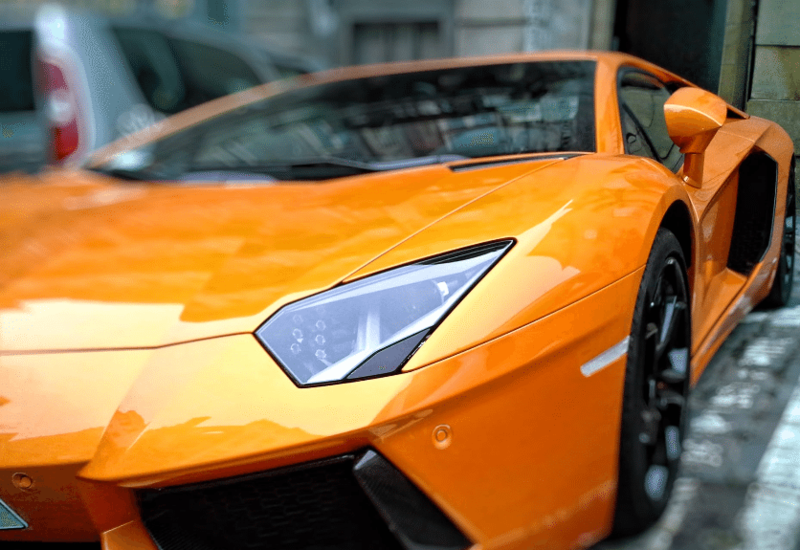 Salons that work with design, especially if that is a car design, need a really cool and eye-catching websites. Enginor has a bright color scheme and a structure that will make a visitor stay to look through. 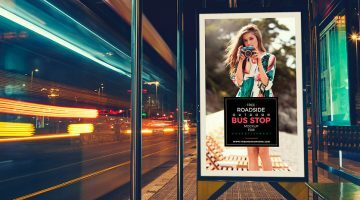 Catchy slider shows visitors your best photos and the most attractive proposals. The template includes lots of pre-made pages, such as Out team or Statistics that could be added to your website. 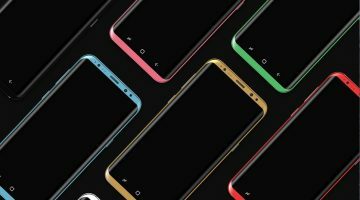 It won’t take much efforts to install the template and thanks to Elementor Page Builder compatibility, managing the website will be a child’s play. 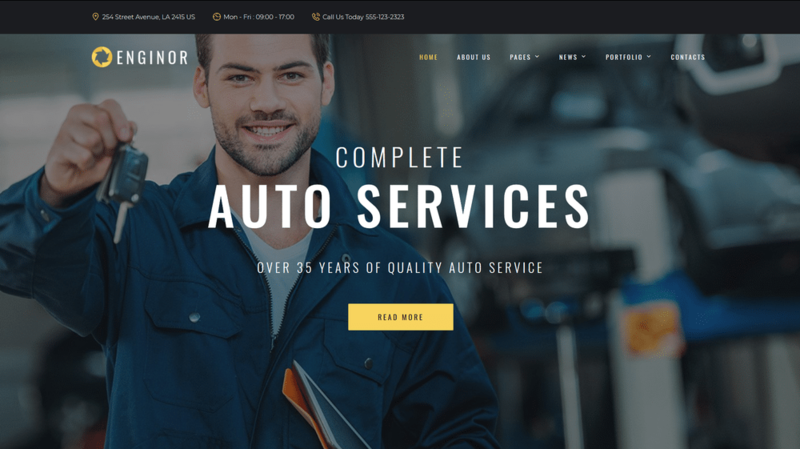 This is a simple, fast and good-looking Auto Repair Services Fully Responsive WordPress Theme for your future car services website. 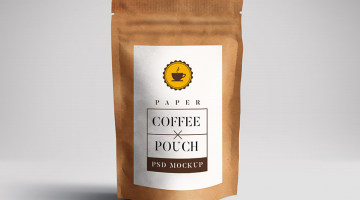 It will allow you to start your business with a fully-functional website. 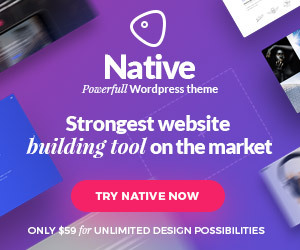 With this theme, you’ll get different layouts with multiple pages with adjustable elements to make your future site look really unique. 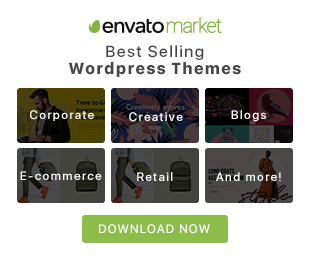 This WordPress theme offers nearly endless website customization possibilities with various widgets. These widgets will allow your customers to easily sort your products by category, brand, price or rating to quickly find what they are looking for. This theme also supports blogging functionality, so you can easily set up a blog about your company news and changes. 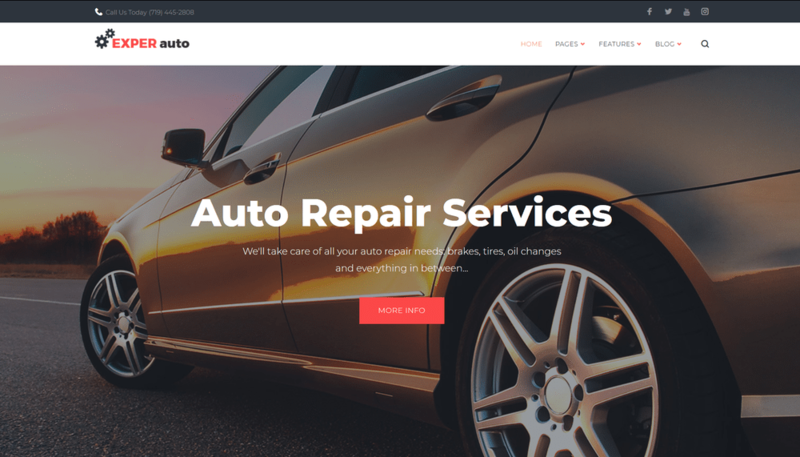 Auto Service, Auto Repair WordPress Theme is suitable for any kind of Auto Business like Auto Repair Services, Car Wash, Garages or Mechanical Workshops. 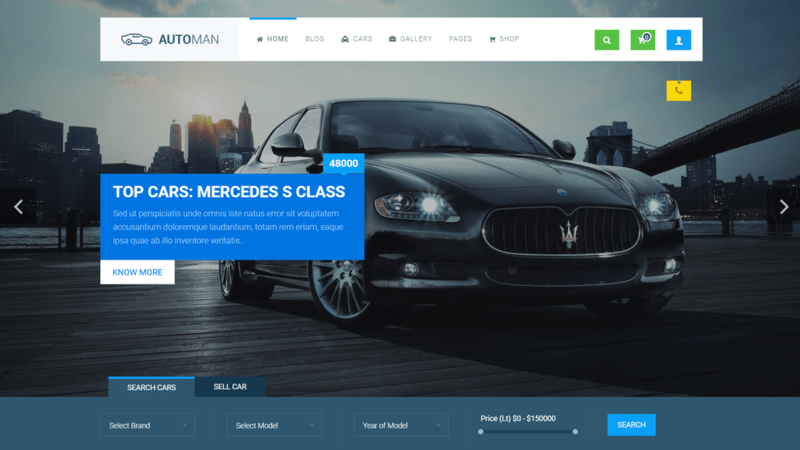 Automan – Advanced Car Dealer WordPress Theme is a perfect fit for people who are running repair workshop, car service and garage business in which you can boost your reputation by presenting yourself and services. 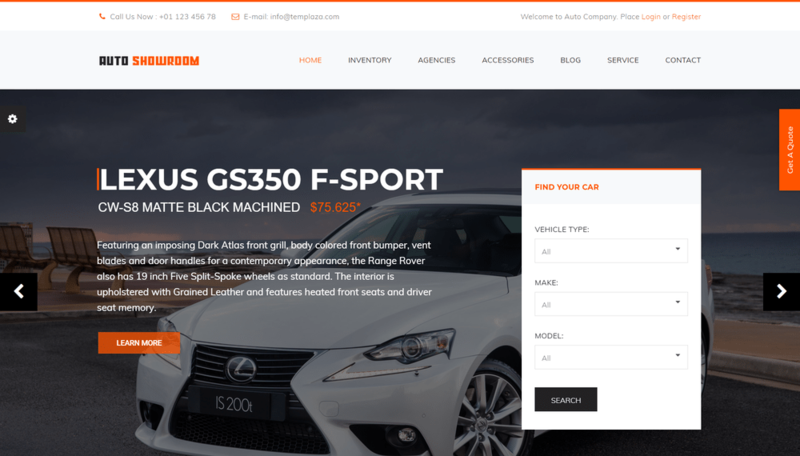 Automan Car Dealing Theme uses a comprehensive dedicated plugin, developed specially for this Theme, for advanced cars listing functionality.